Some of the best games on the Android market are strategy games. People get a different thrill from this kinda games. Undoubtedly the best game in this genre is Clash Of Clans. Clash of Magic APK for Android makes it even better. Clash of Magic is a custom server network for playing Clash of Clans on Android. The attraction of this server network is that you can play the game with mods. That is otherwise impossible in CoC. It is definitely available for Android OS and you can get the Clash of Magic APK file from this post very easily. Let us see how to download and use Clash of Magic on Android. Most of the people have played Clash of Clans at some point in time or at least heard about it. Now, if you are one from the latter group, then you need to know that it is an excellent strategy game that needs to be played. It has amazing features and even increases your strategic thinking. If you are from the former group, then you might have had the idea about a hacked version of the game. Because with that, you could become invincible or you can have enough resources. Whatever the reason, that dream is about to become a reality. Clash of Magic exists specifically for providing you the Mods in the game. More about that later. First, let’s see how to install the game. Seeing what it does, the app won’t be available on the Google Play Store. Clash of Magic Download has its very own website and you can get the app from there. We have the direct download link here so just use it. Tap on the link on your smartphone and reach the Servers page. After that, you have to select a server to download and proceed accordingly to reach the download page. Click the Download button and you will have the APK file in a couple of seconds. Go to the downloads folder and tap the APK file to install it. Android will block the installation because of its third party nature. Click Settings on the warning window and turn on Unknown Sources. The installation will resume and will be over in a couple of seconds. 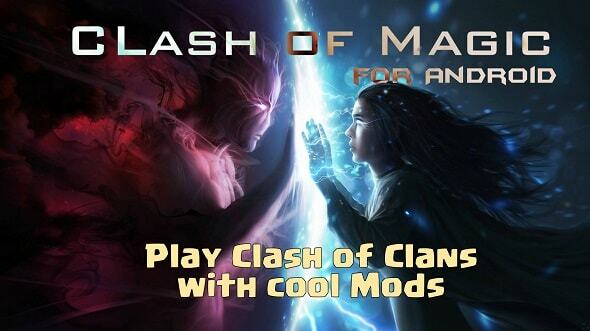 Follow these steps and Clash of Magic APK Download will be over before you know it. Now, you can play the game on this custom servers with all the Mods that you ever dreamt of. Let’s see what you can do with Clash of Magic and how. There is a total of 4 servers on Clash of Magic. You can choose either one and then start playing. Two of these servers have Mods that you can use freely to your advantage. 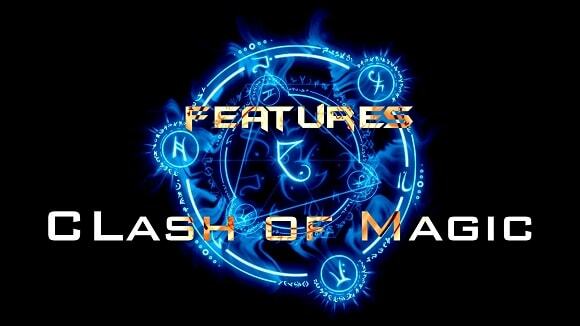 We will see all the features of the Clash of Magic APK for Android in the below list. Four different servers to choose from and each with unique characteristics. The first two servers are loaded with mods that you can’t even imagine were possible. The first and second server have cool Mods and unlimited resources. So you get unlimited elixir and coins as result. Other than that there are a ton of mods that you have to look forward to. You get customized and new heroes like PEKKA queen, Golem King, kings and queens for every character, new buildings, and stuff that you haven’t seen in the original game. So, these were only some of the features of the game. You get more Mod Features than the one that we have mentioned here. You will surely notice them once you start using Clash Of Magic on your phone. With this, we would like to conclude the article on Clash of Magic APK for Android. Here, we have included all the important aspects of the app and its features. If you’d like to know more, give us a nudge at Browsys.